What you should be reading, watching and listening to. Plus our top gear picks this week. If last weekend’s action in Solden got you excited for flying down the piste at top speed yourself, maybe you need to check out these Olympic runs you can ski. Volume 13 of Sidetracked Magazine – the publication dedicated to long-form stories of inspiration and adventure – has just been released. Check out their stories or buy the issue here. Watch As winter temperatures start to settle in on the UK, over in Australia it’s a different story. Just in time for summer Down Under, the first artificial wavepool has been launched in Australia, pumping out reliable swell that some pro surfers have been riding. Everyone who plays and explores in the outdoors has heard of the ‘dirtbag’ lifestyle, where people live out their dream to spend as much as time as possible doing what they love, even if it means sleeping in cars and eating tourists’ leftovers. But how is this old-school approach changing with the modern world? Listen and decide for yourself on the aptly named Dirtbag Diaries. Gear Discovering new kit is one of our favourite parts of the week, and we love the chance to share them with other people. It gives us a chance to spread the word about some really cool innovations, exciting new brands, and products that we just couldn’t live without. This week we’re helping you get prepared for Christmas nice and early, with awesome gift suggestions for every sport and activity. Check it out, sort your gifts, and then relax! 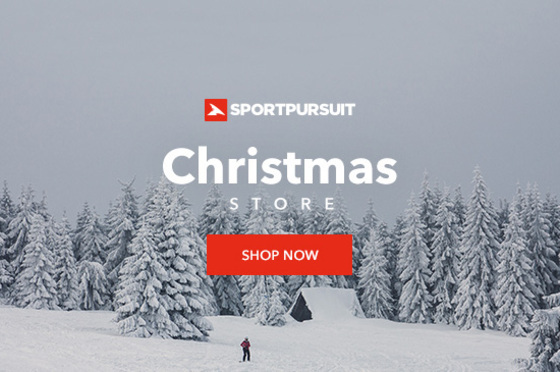 Check out SportPursuit for all of our latest offers.